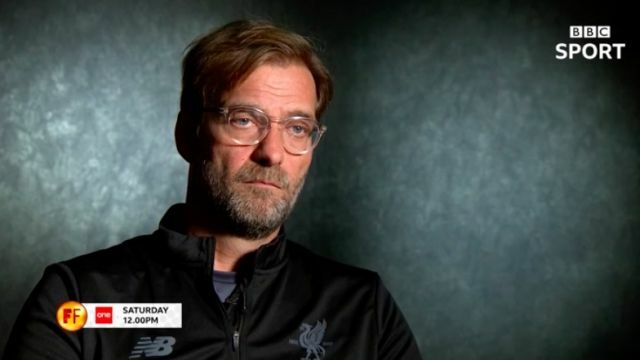 It’s not often in recent weeks that we’ve heard Jurgen Klopp talk to reporters in a manner which doesn’t display how irritated he is by them. So for that matter, Norway’s 2 Media have done a good job, here. Klopp talks in a relaxed way about Liverpool’s defence, including Dejan Lovren, ahead of today’s clash with Huddersfield. In this social media age, the reaction from the 4-1 Spurs thumping has been aggressive, and fairly so, considering the team Klopp puts out is his by choice. But we’re still very much behind the German. Yes, he’s made mistakes – but who hasn’t? At EOTK, we’re in it for the long haul.